Steps from Gulf Coast sunsets, Sails recalls the finest coastal flavors of France, Italy and Greece in each bite. Pairing the freshest food with exceptional five-star service amid beachy-chic décor, relaxed sophistication prevails at Sails, with a nod to the gracious manners of traditional fine dining, ever-so-slightly modernized. 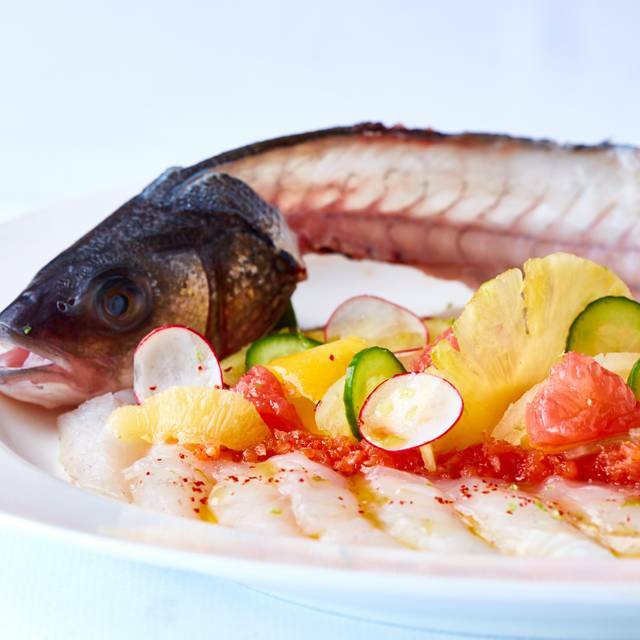 A display of whole fish delicacies from deep-azure seas are hand selected by each guest, then prepared to personalized perfection via wood-grilling or searing a la plancha. 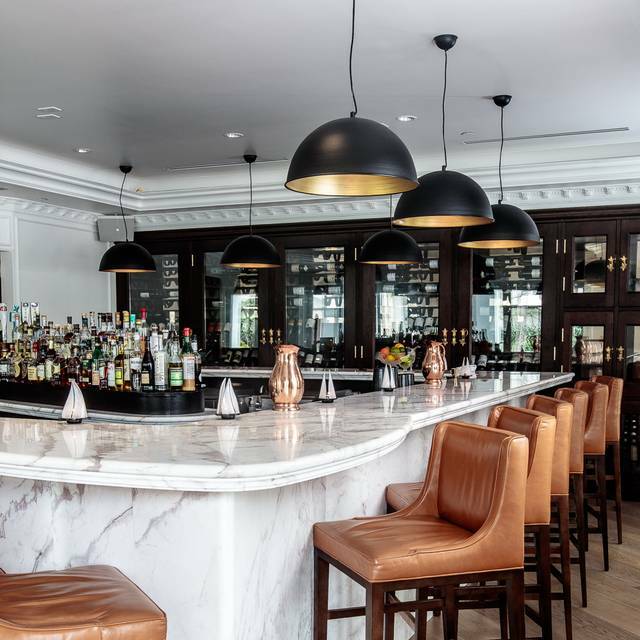 Sip craft cocktails or Sancerre while savoring just-shucked oysters at the sail-shaped hand-carved marble bar. Watch chefs in the open kitchen prepare tantalizing seafood towers. 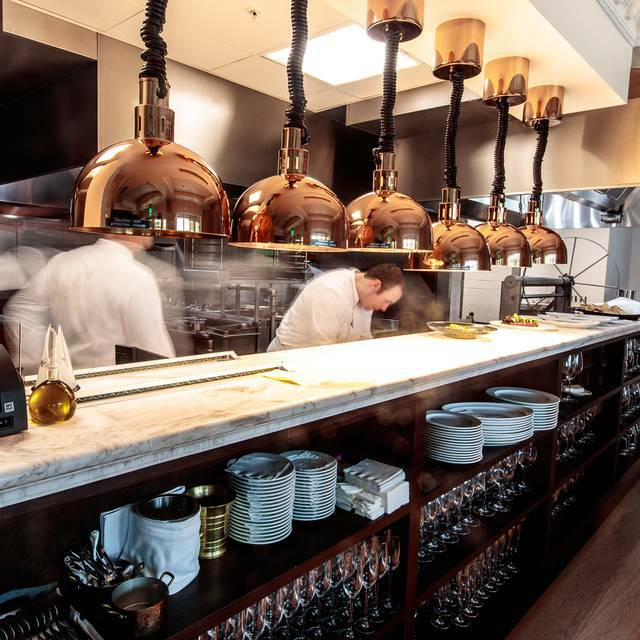 The menu encourages multitude courses in true European style starting with raw bar, crudo and tartares followed by luscious lobster or seared Kobé over just-picked organic produce. Elevated homemade pasta preludes composed seafood selections plus mouthwatering superior cuts of beef, redefining refined indulgence. One of the best, if not the best, in Naples. It's located at 5th and 3rd - - perfect corner location - - with inside and outside seating. The fresh seafood selection is one of a kind. The wine list is second to none. The service is 5 star and the owner and his wife make you feel at home! Exquisite experience. 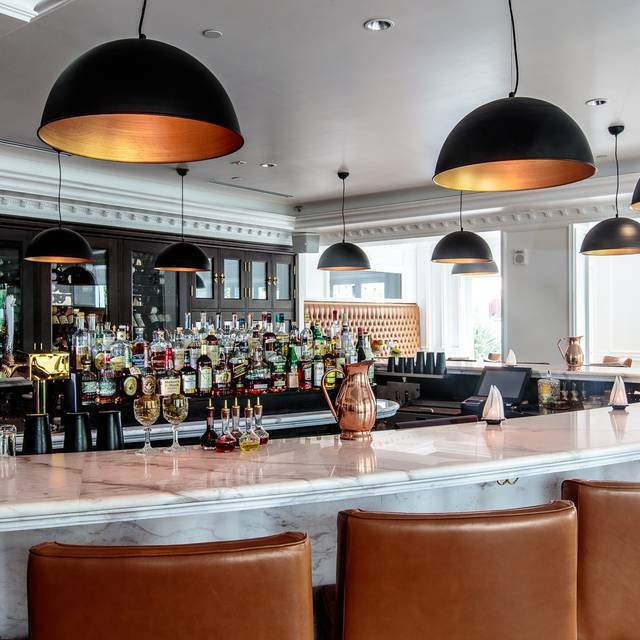 From the ease of reservation, total attentiveness of staff, artful presentation of delicious culinary feats, to mid-afternoon dining accompaniment by a violin - You MUST go. Sat for 30 minutes. We did order and receive a cocktail. That was it The waitress did not take our order. We were not offered bread at the table. We requested service several times to no avail. Upset at waiting so long we asked for the check. To they're credit we did not have to pay for the one drink. I complained to the manager and someone called us afterwards. She was very gracious and offered us a free meal which we declined. We live out of town and we were planning this meal for two weeks. Very disappointed. It was a first class experience!! Such a great evening - we will be back! Outstanding high end restaurant. No other competition in Naples. In a league of its own for attention to detail, quality, and uniqueness. The owners personally work the front of the house. Amazing food and service! Our server gave excellent recommendations and was very attentive. We chose a variety of things to try from the grilled octopus, to the gnocchi, the whole fish sole, mushroom side, and chocolate soufflé! Every part of every dish was spectacular! We will definitely be back! There is nothing ordinary about this restaurant. 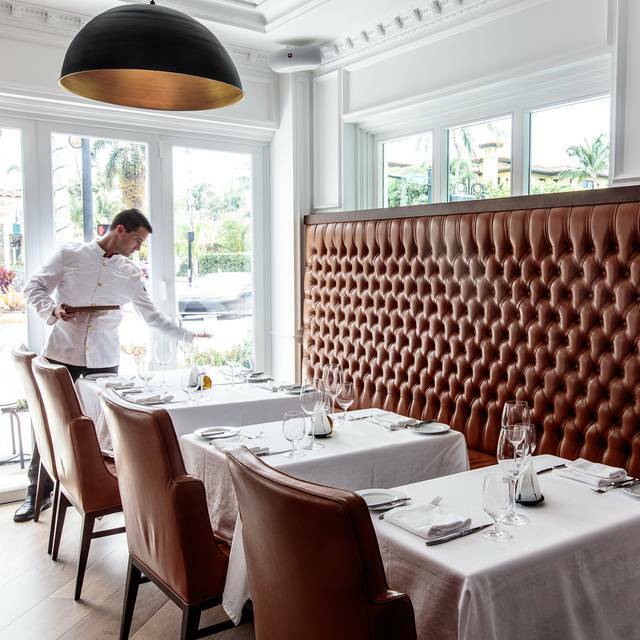 The owner has a background with the Ritz, and he has embraced their high standards in every aspect of the dining experience. 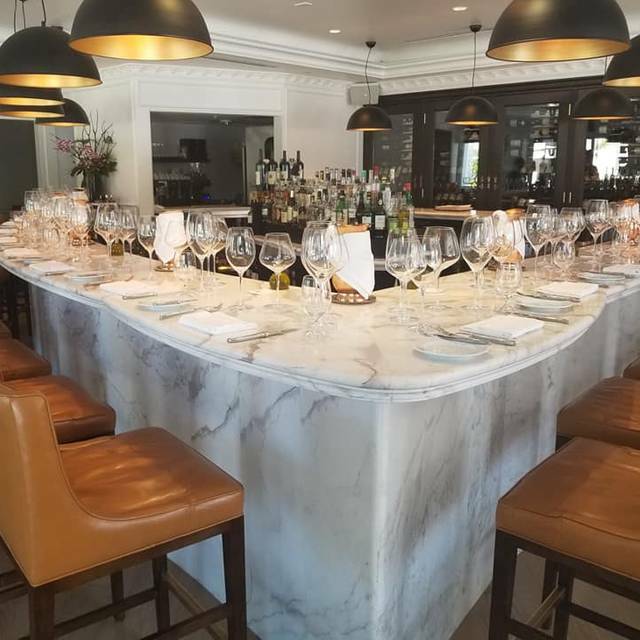 Imagine lovely ambiance with very attentive service, white tablecloths with sparkling glassware, comfortable seating and fresh, delicious, exciting selections. Slices of bread are displayed on a tray and brought to the table often. Although there are many varieties of fresh fish on display, all with clear eyes, and kept cold on a bed of ice, it was suggested I try the Wagyu "Tajima" steak, truly one of the most tender and flavorful steaks I have tasted. I should be embarrassed to admit this, but I could not resist tasting many different plates of food. I tasted the truffle Pappardelle, house-made and found the sauce to be fragrant and the added shaved truffles, well what more can anyone write about truffles? 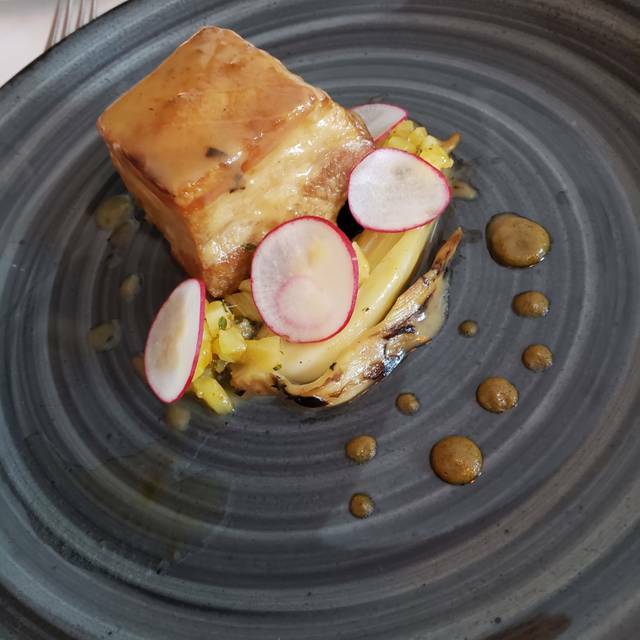 I sampled the Fois Gras that melted in the mouth, as did the smooth potato puree. I tried the roasted vegetables and the Valrhona Chocolate Souffle with Creme Anglaise and house-made Vanilla bean ice cream; I tasted a dessert plate with raw honey and greek yogurt. Sails will be a bit pricy for many however they offer a Prix Fixe lunch menu and a sunset menu as well as a four-course menu for evenings. Our dinner companions ordered the wine, and although I did not read it, I feel confident the wine selections would be in keeping with the high standards of this restaurant. 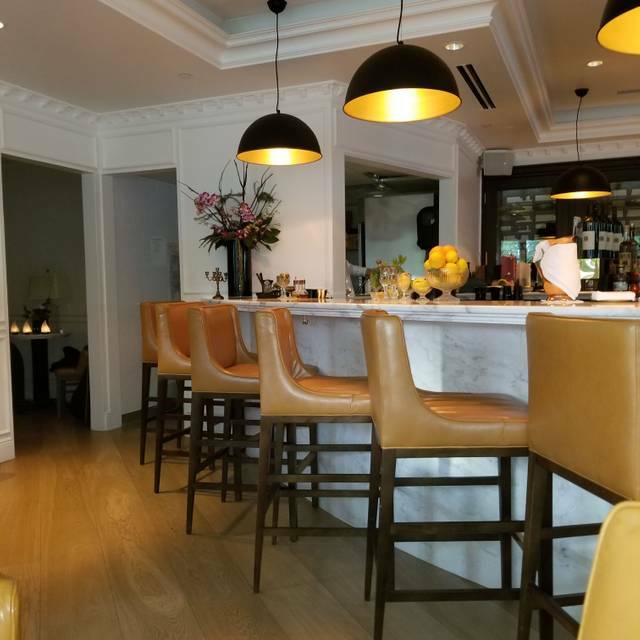 If you don't have time to vacation in Europe but want to treat your taste buds to the fresh flavors of a coastal restaurant Sails is worth the visit. Valet parking was prompt and courteous. Lovely experience / fantastic waiter - knowledgeable & friendly. Beautiful patio to enjoy delicious food & wine. Thank you. Food and service were very good. However, it is very expensive so be prepared. Accolades to Sails for a wonderful evening and our 1st visit. As a member is the International Wine and Food Society, I pay close attn to details starting with our greeter, then our Maitre D’/server Palek- who noted our anniversary several times during the evening. Palek was extremely informative and helpful about the menu choices. I was also impressed with Andre the Sommelier with his attn to detail and finess in choosing to use the osso in opening my 2004 Luigi Einaudi nei cannubi Barolo-perfect! thank you for allowing us to celebrate our special occasion. Can’t wait to return. Great place, very nice portion sizes and ability to try different things. As a first timer, we played it safe, but next time we will experience some of the more unique offerings! Our server was outstanding! Extremely knowledgeable about the ingredients and the preparation and presentation! The food was very good but really expensive.... even more than we thought it was going to be. $88 per pound for fish is a pretty expensive meal without so much as a carrot or parsley with it. Sails will be someplace we go for special occasions not regular dining! that was the best lobster gnochi I have ever had! The waiter was superb! 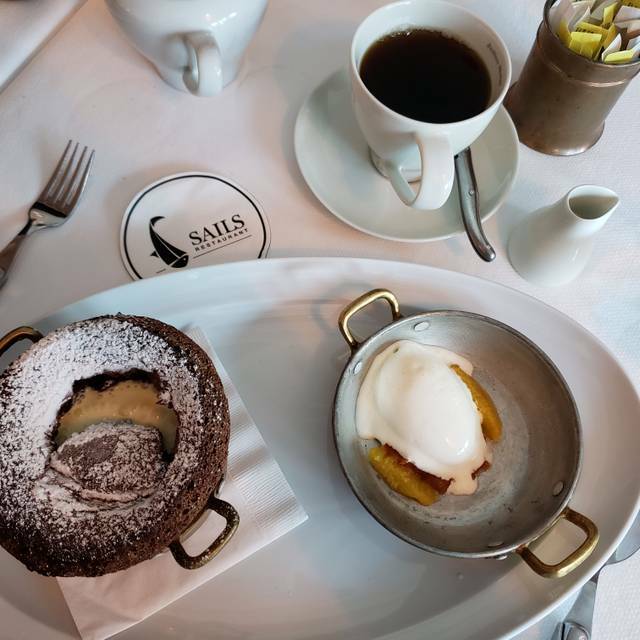 This was our 5th time at Sails and it just gets better and better every time we dine there. Jeffery was Amqzing and took great care of our table. Thank you and we will see you again Soon!! The best dinner experience! Fish we’ve never heard of and very interesting learning where each came from. Picking our fish was fun! Beautiful plate presentations! Great service! Clean kitchen and love the cherry wood grill flavor for fish and Steak! We saw online recommendations for this restaurant and decided to give it a try. Sails is an upscale ($$) restaurant on 5th Ave at 3rd St. Basically, the "value" just was not there for us. I do not mind spending a lot at dinner for an appropriate meal, but what we got for what we paid just will not encourage us to return. Delivered plates of food looked personalized and appetizing. The overall taste just did not seem to match. I would rather go next door to the French Brasserie. Loved the food and service. Very pricey. Tables by the kitchen area very noisy hard to carry on a conversation with the person seated next to you. Wanted to introduce friends to the Sails experience. What a wonderful restaurant. Service is unbeatable, hospitality is excellent and the food is unbelievable. Only place in town where you get to pick out your own fish if you so desire. Thank you for another enjoyable evening. After a too long wait for our drink order to be taken two of our party felt their drinks were not right. Our captain, Jeff, was queried. He dismissed the two parties saying the drinks were correct. The two parties on their own decided their drinks had been switched and corrected the situation. When Jeff was told of the situation he was very dismissive. Most of the group enjoyed their meal but the overriding feeling of the evening was not the superior experience that reviews—and the pricing—led the party to expect. Outstanding on all levels. A bit pricy but worth it for a special occasion. Although the food is 5-star, and the atmosphere is great, it is the service that stands out as the most impressive. It takes service to the next level, that I do not think exists elsewhere in Naples. Amazing experience! Job well done. Can't wait to go back! Expected a lot from this restaurant, unfortunately the hard up-sell attempt by the server turned us off. Maybe it’s just me, but having a server tell a party that he will tell us what to order (in an overly-charming tone) is a bit aggressive and somewhat condescending. When he then proceeded to show us an array of fish and beef before even taking a drink order shows a lack of customer awareness. Add in an undercooked $46 risotto (should have been more creamy than crunchy) and you get three stars at best. The service was ok, but I’ve definitely seen better (Halls in Charleston is the gold standard, and locally Trulucks is excellent). This may be petty, but the team did not even bother to ensure that the water glasses remained topped-off or inquire about another drink when I finished mine (most of the party had wine, two of us did not.). This is restaurant 101. The bread service person, on the other hand, was excellent. We have dined at Sails before and it is always good. The noise level is high so I would not want to sit near the band. Pleasantly surprised - food quality and service excellent and lovely atmosphere. It was my husband's birthday and lots of nice touches for the occasion. For vegetarian a bit limited menu. Loved it! Wonderful outdoor dining, good menu, good service. Too expensive for the quality of food. Wonderful staff, drinks and of course dinner. We’ll be sure to come back next time we visit Naples! Sails is ridiculously overpriced. Although there were very good parts of the meal, I would never go back. A Manhattan is $18. My husband's steak was $85 for 7 oz. It was extraordinary, as was the tomato salad. My souffle was overcooked and although it purported to contain grand marnier, I couldn't taste it. There is a part of the experience that involves an introduction to a group of dead fish, mostly imported from Europe. That is something I don't want to do at a restaurant. The ordering process for the fish involves buying the whole fish on the basis of your introduction, then hoping you like the way they prepare it. Great service, great menu artfully done. Very high noise level which limited the ability to converse with everyone at our table for six. The price point/value relationship is out of whack. While the wait staff is really good, and the fish fresh, the menu alternatives are disappointing. The Farro risotto is not flavorful enough. The fish, while fresh and wonderful, was simply plain grilled fish. Too plain.